With the inauguration of the current administration in May 2015, and subsequent assumption of duties as minister of finance in November 2015, Kemi Adeosun has focused her attention on the initiation, development and aggressive implementation of innovative fiscal operations management policies and initiatives aimed at redressing the economic fortunes of the country. She has also focused on facilitating the realisation of the administration’s cardinal principles of transparency and accountability. Armed with a robust experience in both the private and public sectors of the economy, Adeosun set to work by introducing very novel and bold reforms that have significantly curtailed wastages in governance, and reduced fiscal leakages, thereby achieving unprecedented savings for the Nigerian government. In keeping with that focus, the minister has played leading roles in the development of various cost-cutting initiatives through the pursuit of carefully thought out policies aimed at promoting transparency in the payment process, drastic reviews of the procurement process, the sanitisation of the public-sector payroll system, which led to the elimination of huge number of ghost workers, amongst other laudable objectives. The minister played a prominent role in the setting up of the Presidential Initiative on Continuous Audit (PICA), which has since become the key platform for ensuring controls and effective oversight over the utilisation of public funds under the present administration. Through PICA, Adeosun has placed stringent checks on the expenditure of government revenue to ensure cost-effectiveness and accountability and several recoveries have been made in fake subsidy claims, discoveries of financial misconduct in the Pension Transitional Arrangement Directorate (PTAD), and recovery of salaries paid to ex-diplomats, etc. As a way of encouraging public participation in the fight against corruption, the minister introduced a landmark ‘whistle-blower policy’, which was launched in December, 2016. The policy is designed to support the fight against graft by exposing financial crimes and rewarding credible informants of such malfeasance. Working through PICA, the ministry has received 8,373 communications as a result of the whistleblower policy on contract inflation, ghost workers, illegal recruitment and misappropriation of funds. Out of the total communications, 1,231 are whistleblowing tips. The ministry has undertaken 791 investigations and completed 534 of those investigations. Ten are presently under prosecution and four convictions have been secured. Under the whistleblower policy, the Federal Government of Nigeria has recovered directly, as a result of tips received from whistleblowers, the sum of N7.8 billion, US$378 million and GBP27,800. In May 2018, the government paid N439,276,099.86 to about 14 whistleblowers who gave specific tips on tax evasion. From the specific information provided on companies, which underpaid their taxes, the government was able to recover the sum of N13.8 billion as a result of those specific tips. The whistle-blower policy has helped tremendously in facilitating recoveries of ill-gotten funds and assets. The federal government on June 29, 2017 launched a revolutionary and bold reform initiative – the Voluntary Assets and Income Declaration Scheme (VAIDS) – through which citizens (tax payers) are offered a window of opportunity to regularise their tax status relating to previous tax periods, without incurring penalties. Prior to the introduction of the policy, Nigeria’s tax compliance record was very poor with only about 14 million out of an estimated 70 million economically active Nigerians paying their taxes. This has become more compelling, given Nigeria’s tax revenue-to-GDP ratio of 6 percent, which has remained one of the lowest in the world in comparison with countries in Nigeria’s peer group. The robust implementation of VAIDS has seen an increase in the number of taxpayers from 13 million before the assumption of office by the incumbent administration to 14 million in 2016 and 19.3 million in 2018. It is instructive to note that some local and foreign companies are now disposed to the VAIDS initiative, and have started to regularise their tax status. The ministry’s efficiency unit was set up in November 2015, about two weeks after Adeosun’s assumption of office as minister of finance. The unit was established to reduce wastages, promote efficiency, ensure prudence and add value for money in all government expenditures. The thoroughness with which the unit has conducted its activities of monitoring the ministries, departments, and agencies (MDAs) of government, identifying and eliminating wasteful spending, duplication, and other inefficiencies and identifying best practices in procurement and financial management, has so far resulted in annual savings for the federal government. 1. Cost cutting: The E-Unit has embarked on several cost cutting initiatives that has influenced the issuance of circulars to all MDAs by the secretary to the government of the federation, the head of the service of the federation, and the National Salaries, Wages and Income Commission. The issuance of these Circulars has led to a curtailed and better management of certain recurring processes and activities relating to travels, sitting allowances, souvenirs, and others resulting in savings. The Government has saved N34 billion on travel & transport for 2016 compared to 2015 figures and a further N57 billion on same travel & transport in 2017 compared to 2016. On office stationeries & computer consumables, the government saved N24 billion in 2016 as against the previous year and a further N10 billion in 2017 compared to 2016 expenditure on the same line item. Accountant General of the Federation the use of Debit Cards by government officials for payments instead of cash. This would plug loopholes and improve accountability in spending. a. Secured discounts ranging from 5-50 percent from airlines for local and foreign travels. The agreements with the other airlines are at various stages of finalization and on conclusion will save the Government huge amount travels. b. The introduction of a price checker, a web-based platform, which is being developed with the Bureau of Public Procurement (BPP) will provide a portal for vendors to upload prices of their non-customized goods which ministries, departments and agencies (MDAs) will use for procurement, thereby providing more transparency and eliminating sharp practices in the procurement process. c. The introduction of a circular on framework agreements by the BPP (in progress), which will enable MDAs pull their demands for standard goods (bulk purchasing) thereby reducing the administrative costs associated with the subsisting procurement process and securing good discounts from suppliers. Even where the Treasury Single Account (TSA) project was conceived by the previous administration, its aggressive and successful implementation was midwifed by Adeosun as the minister of finance. Under this initiative, all federal government’s accounts with commercial banks were transferred to a pool account domiciled at the Central Bank of Nigeria (CBN), known as the TSA. The Office of the Accountant-General of the Federation (OAGF), an agency under the minister, had the statutory mandate to drive the implementation of this policy with support from the Central Bank of Nigeria (CBN). The TSA has further brought about transparency and effective tracking of government’s revenues and blocking of leakages and abuse, which hitherto characterized public finance management in Nigeria. Other benefits of the TSA include ensuring availability of funds for the execution of government policies, programmes and projects; controlling aggregate cash flows within fiscal and monetary limits; improving management of domestic borrowing programme; enabling investments of idle funds; and improving transparency and accountability in the management of all FGN receipts and have a consolidated view of Government’s cash flow. It is on record that under Adeosun, the government has settled outstanding pension arrears up to March 2017. The sum of 41.5 billion was released by the Federal Ministry of Finance to pay off outstanding pensions arrears of 2014, 2015 and 2016, while the sum of N12.5 billion was paid out to clear pension claims for up to March, 2017, bringing the total payment of outstanding pension arrears by the current administration to over N54 billion – an unprecedented feat, which has been commended by the various workers’ unions. In the 2016 World Bank/IMF Annual Meetings, Adeosun led the Nigerian delegation that negotiated with the World Bank Group (WBG), African Development Bank (ADB) and European Investment Bank (EIB) for a takeoff loan of USD1.3 billion (N396.5 billion) for the Development Bank of Nigeria (DBN). The CBN approved the operating license of the bank in March 2017, subject to the provision of a minimum capital requirement of N100 billion and other conditions, which have since been satisfied. The DBN is to provide loans to all sectors of the economy, including, manufacturing, services and other industries not currently served by existing development banks, thereby filling an important gap in the provision of finance to micro, small and medium enterprises (MSMEs). As a wholesale bank, the DBN lends wholesale to microfinance banks, which in turn on-lend medium to long-term loans to MSMEs. Already, the DBN has a N5 billion line of credit to be accessed by MSMEs through its partner institutions. The MSMEs’ contribution to the country’s economic growth cannot be over-emphasised. However, they seem to have access to only about 5 percent of lending from deposit money banks. With the establishment of the DBN, there will be greater long-tenored credit facility to MSMEs at minimal borrowing costs. Under Adeosun as minister of finance, the Debt Management Office (DMO) has commenced the bold initiative of refinancing high cost short-term domestic debt with relatively cheaper and longer tenored external debt, as part of its overall debt management strategy of progressively achieving an optimal debt portfolio composition of 60:40 for domestic and external debt respectively. Thus far, Nigeria has refinanced costly and short-tenored domestic bonds with about USD3 billion longer-tenored Eurobonds. The implementation of the debt refinancing strategy process has already led to a reduction in the cost of domestic borrowing, which has also reduced the cost of the country’s debt portfolio. In addition, it is also expected that lower domestic rates will benefit corporate borrowers in accessing domestic capital from the banks. Under the supervision of Adeosun, the Federal Ministry of Finance, launched the Asset Tracking and Management Project (ATM Project) in 2016. By the ATM Project, the federal government for the first time is able to locate, identify, assess and evaluate all its moveable and immovable assets on a real-time basis. Also, a central asset register was created and domiciled in the ministry for recording the actual quantity, value, condition, and location of all the capital assets belonging to the federal government. These initiatives are in line with the requirements of the International Public-Sector Reporting Standard (IPSAS), which has also been implemented under the supervision of the minister. The ATM Project and asset register initiatives become particularly relevant because of the importance attached to capital expenditure by the current administration. 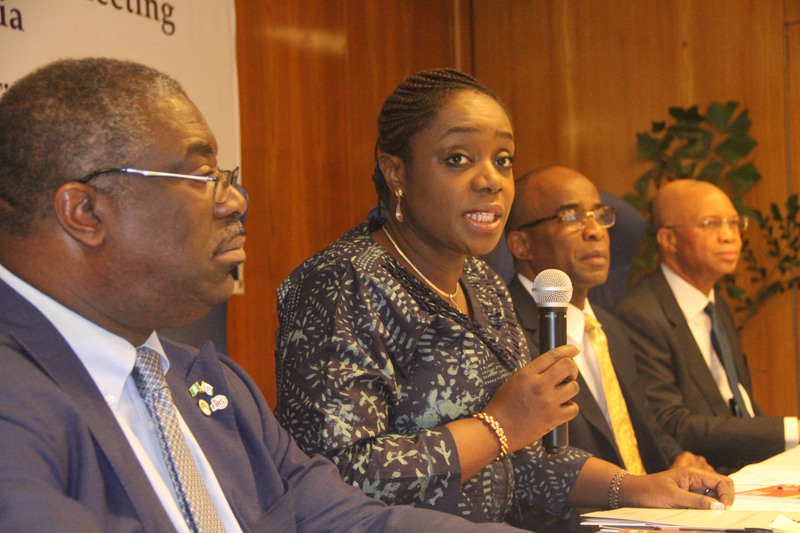 In her quest to institute fiscal prudence, transparency, and accountability in the management of states’ resources, Adeosun introduced the Fiscal Sustainability Plan (FSP). The FSP further seeks to improve public revenue, through rationalizing public expenditure, prudent financial management and facilitating sustainable debt management. The Framework has twenty-two core action points, which are expected to lead to the path of fiscal governance and sustainable economic growth. The implementation of the FSP by the states is a condition precedent for the states to access further budget support facilities from the federal government, to which most states have already benefited from, in line with its terms and conditions. It is very evident that the Federal Ministry of Finance, under the dynamic leadership of Adeosun has stepped up the tempo in addressing the myriads of economic challenges posed by the demands of reflating an economy that was badly battered by years of mismanagement, fiscal leakages, depleted reserves and poor budget performance. She has remained very innovative in churning out reform policies and initiatives that have helped, in no small measure, to stabilising the Nigerian economy and putting it on the path of sustained growth. We are all used to an 8-hour work day, but is it effective?